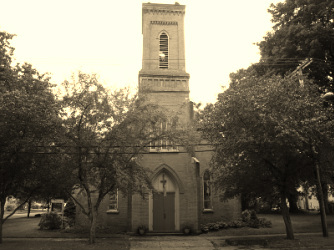 Saint James' Episcopal Church was founded in 1830 and is located in Watkins Glen, NY. We are a Christian congregation that welcomes everyone to join us in worship. Saint James' Church is under the jurisdiction Episcopal Diocese of Rochester. If you would like read about the History of Saint James' in depth, you can find that here. The Thrift Shop that Saint' James' Church operates on Thursdays & Saturdays 10am - 1pm has been an important resource for many in the community for decades. More information about the Thrift Shop can be found here. 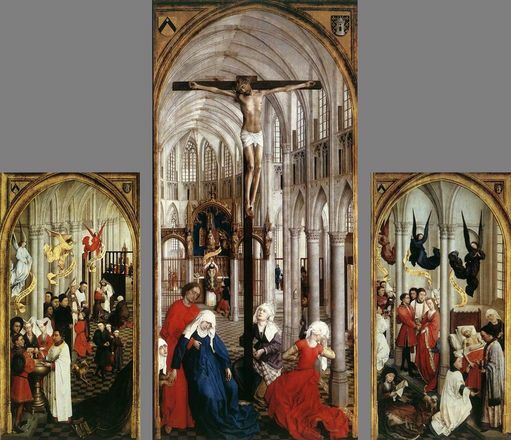 The Seven Sacraments Altarpiece by the Early Netherlandish artist Rogier van der Weyden 1445–1450. Have you ever wondered what the Anglican views are on the sacraments? Well, information about the nature of the Sacraments is now available on our website. Feel free to drop us a line if you have any comments or questions. Saint James' has many Ministries that it operates and/or contributes to. They include Pastoral Care, the Altar Guild, the Schuyler County Food Pantry, Bible Study and Community Outreach. If you are interested in learning more about baptism or need information about having a wedding at Saint James', click here.